A solitaire necklace exudes classic, contemporary and casual style. They are one of the most versatile pieces of jewelry in your wardrobe, with many intricate solitaire necklace designs to play with. You can dress up a simple outfit or add a bit of brilliance to an elegant evening on the town, perhaps with a beautiful white gold solitaire necklace. 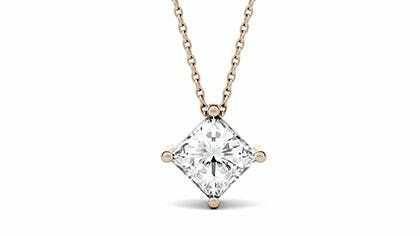 When it comes to a solitaire pendant, the possibilities are endless.